I first made these cupcakes on Día de los Muertos, but they were gobbled up too quickly for any pictures. Today isn’t Mexico’s Day of the Dead, but it has been a super cold month here in Chicago, and we could all use a little warming up and what better way to do it than by eating cupcakes with a kick? If a little spice in your belly doesn’t warm you up, an extra pound or two might. Okay, but really, Chicago weather gods, it’s been way too cold and grey lately! Send us some nicer weather! It has been almost 2 months since my last post. What have I been up to in the past 2 months? Well I have been doing a lot of baking–but the kind involving mixing antimony, lithium, sulfur and other such elements to 800 °C. Please do not try this at home. As the days start to get longer I plan on having more posts and pretty pictures of food for you, so stay tuned! 3. 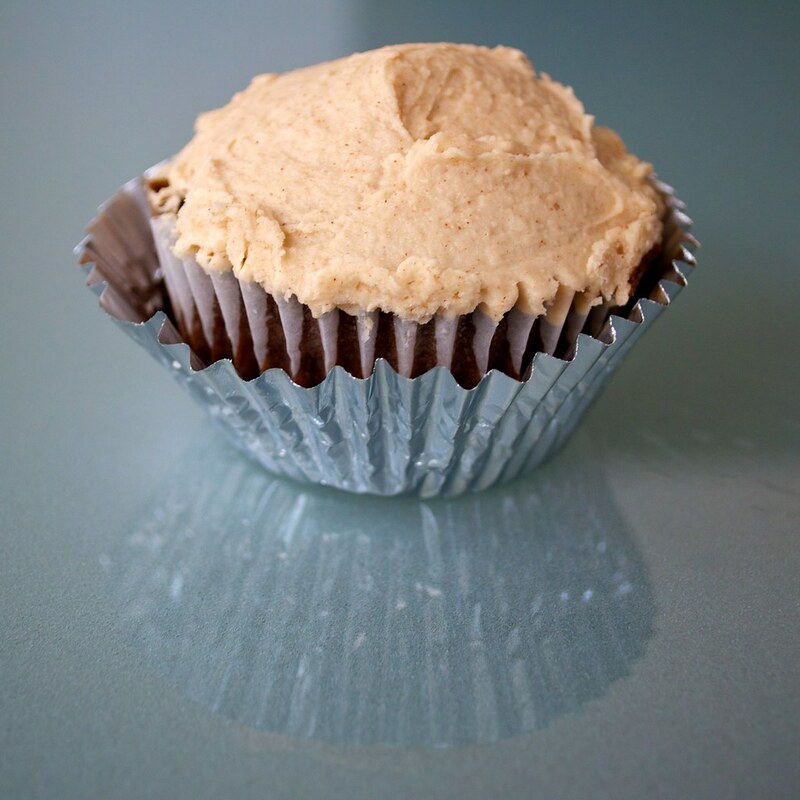 Fill cupcake liners 3/4 of the way, bake for 15-20 minutes or until a knife pulls out clean. 1. In a medium bowl mix the cinnamon into the powdered sugar. These cupcakes were so good, my cat was even licking her lips over them! 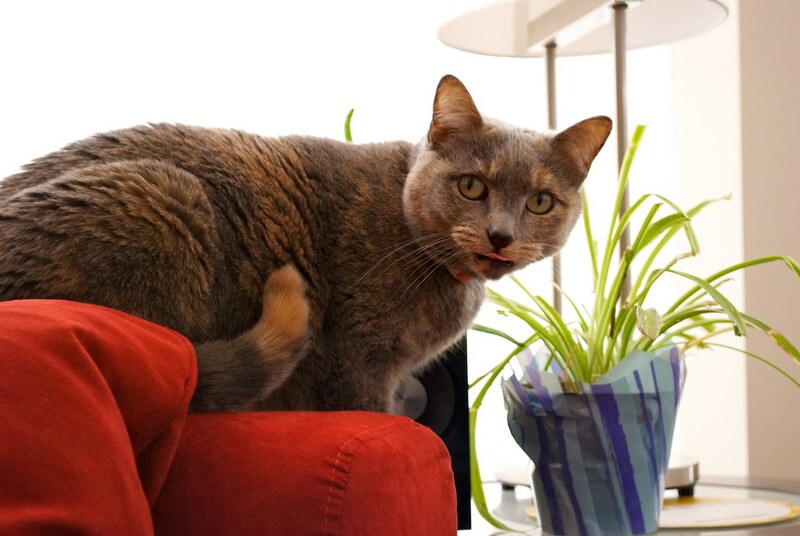 Hah, okay in reality she was licking her lips over my plant that I just caught her eating red-handed (pawed?). But then again, I don’t let my cat eat cupcakes. This entry was posted in dessert and tagged baking, buttercream, cayenne, chocolate, cinnamon, cupcakes, recipe, vegan. Bookmark the permalink. I was wondering yesterday when your next post was going to be! Nice to see a cupcake recipe. Looks very delicious! I love the touch of spice with the chocolate. These photos are absolutely beautiful! Definitely saving this recipe for my “to be baked” folder! They sound so delicious. My sister’s boyfriend is a huge (HUGE) fan of anything with a kick, so maybe I’ll save these to make for his birthday! If you are not vegan, how would you make these? There are no vegan butter sticks in the country I live and I am not sure of “vegetable shortening”. You can definitely substitute butter for vegan buttery sticks and also the shortening if you cannot find it. Vegan buttery sticks made by a particular brand, Earth Balance, in the United States and are an alternative to margarine, which you could also use. The frosting comes out best if you use half margarine (or butter) and half shortening, but you can use all margarine (or butter). You can also substitute milk or whipping cream for the soy milk. Pingback: Pistachio chocolate cake — pretty, green and delectable | write meg! There’s a recipe for Mexican Hot Chocolate cupcakes in VCTOTW, and this cinnamon buttercream looks like the peeerrrfect addition! I will definitely be making that to go along with those! I’m going to need to hit the gym considerably more though. Jeez. Thanks for the recipe! We were having a Mexican themed dinner at church and this was perfect as I had all of the ingredients in my apartment! I didn’t have any muffin tins though, so I just went the 9 x 13 pan route and it worked out fine. I used regular butter and 2% milk as well. The baking took a little longer since I baked a whole cake… around 25 minutes, but it came out just fine… thank goodness for the knife test. Many people complained that it was too hot, but I thought it was just the right amount of spice to make it interesting, but not overpowering. Thanks so much! i just made these today. the cake is fluffy and delicious! thanks for sharing the recipe. Pingback: Mexican chocolate cupcakes: Can you handle the heat? | write meg! I made these for Cinco de Mayo – delicious! I replaced 1/4 cup of the flour with an additional 1/4 cup cocoa powder to make them extra rich and chocolate-y , and used 1 slightly rounded tsp cayenne pepper. 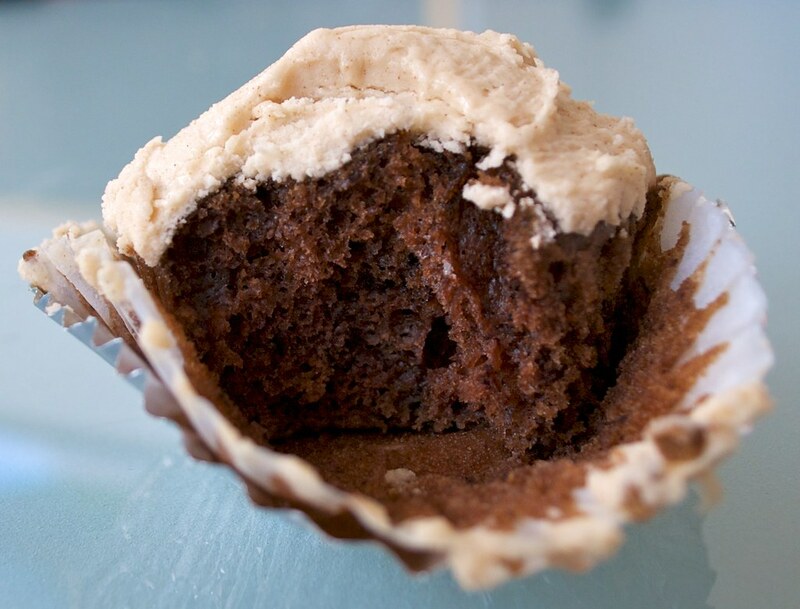 This gave a heat that kind of crept up on you – not apparent when you first taste the cupcake, but it builds to leave a tingle on your tongue! As I’m not vegan, I topped these with Swiss meringue buttercream frosting flavored with vanilla and cinnamon, and decorated them with mini marshmallows. I’ve now made these twice in the last week — had the brilliant idea of making Mexican chocolate cupcakes to bring to family gathering with similar theme, conducted a Google search and found your recipe, whipped them up (doubly excited that they were vegan!! ), then had second thoughts as my in-laws can be a bit wimpy when it comes to spicy…. no need for nerves, they LOVED them (and the adults were delighted that they finally had their own dessert that the kids were too scared to wolf down!). I was even more excited that I got everyone hooked on something vegan!! My mother-in-law declared them “perfect” (along with the disclaimer(?) that she “knows cupcakes”). They were so much of a hit that everyone took the extras home, we were left with only enough to get me through to making another batch for my knitting group and, then, alas, we are without again….. I think I’ll laminate the recipe. Thank you! I just some and they are sooo good. My egg-free buddy agrees. Pictures on my own blog.